Kieron Pollard struck a thrilling 53-ball century as his St Lucia Stars were finally victorious in the CPL, halting their winless run at 15 games, as they beat Barbados Tridents by 38 runs on Friday night. 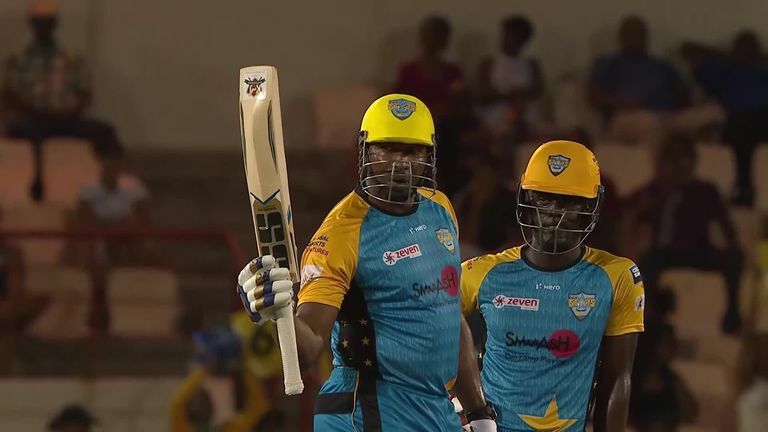 Despite three batsmen registering ducks - David Warner, Lendl Simmons and Darren Sammy - in their innings, St Lucia managed a massive 226-6 batting first, thanks to Pollard's 104 and opener Andre Fletcher's 80 off 52 balls. Pollard smashed as many as eight sixes, and six fours, in his blistering knock, the St Lucia skipper taking only 20 balls to kick on from fifty through to a fine century. In reply, Dwayne Smith cracked 58 from 45 deliveries at the top of the order for Barbados, but received minimal support at the other end, with former Australian captain Steve Smith's 28 the next best total. Young, West Indian left-armer Obed McCoy (3-28) impressed for the Stars, as did 18-year-old Afghanistan legspinner Qais Ahmad (2-29) as the Tridents were restricted to 188-6 in reply. 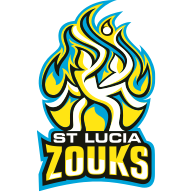 St Lucia stay bottom of the 2018 CPL table, with this their first win in their five games so far and first success since the 2016 tournament, having not been victorious all of 2017. Barbados, meanwhile, have only played twice so far, winning and losing once. 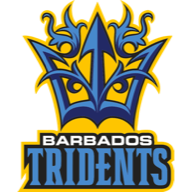 Barbados Tridents won the toss and elected to bowl.